Mode Junkie: YOUR AMERICAN GIRL. included a lot of gelato, gilmore girls and of course sun! Oh my! You look great, once again! 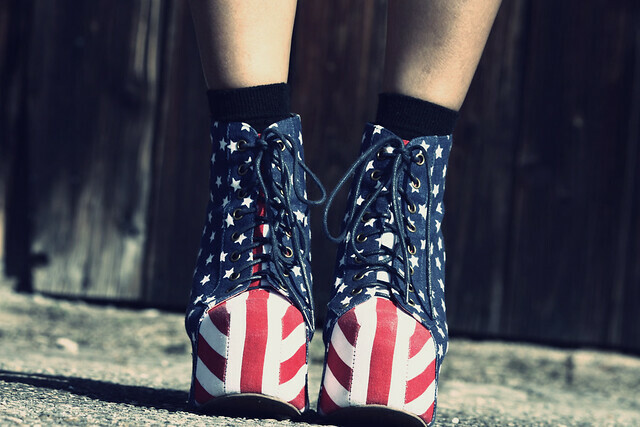 Totally rocking the USA booties! Nice look! 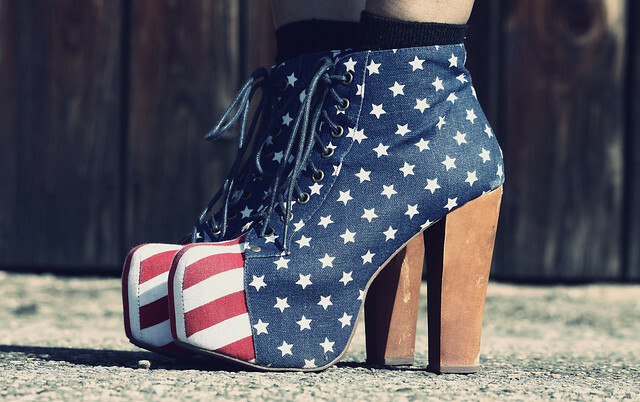 Love the litas! love everything and the location A LOT ! Such a totally badass, patriotic look! Perfect look, that shoes are amazing! Beautiful outfit, really love the entire feel of this look. The vest is amazing, love the details. you look great! and i love these shoes ! i love the leather vest! Amazing dear. You are simply stunning. These pictures great, this outfit is stunning...and OMG I fell in love with your shoes!